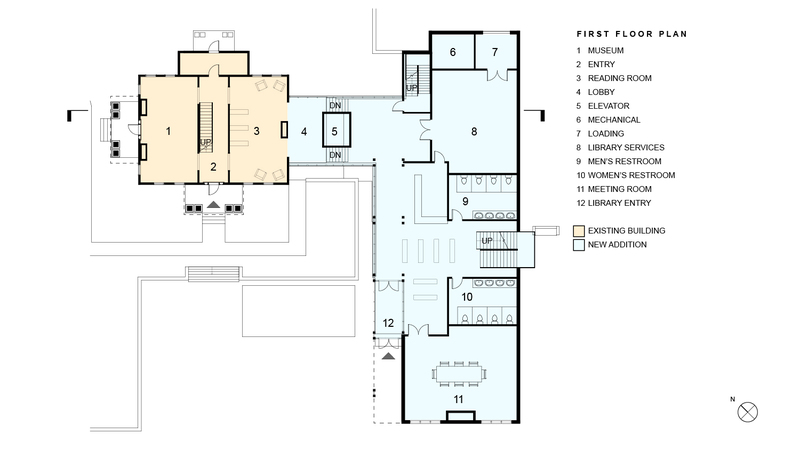 The Milford Community House, one of the cherished buildings within the Milford Historic District, had served as the headquarters for the Pike County Public Library for more than 75 years. 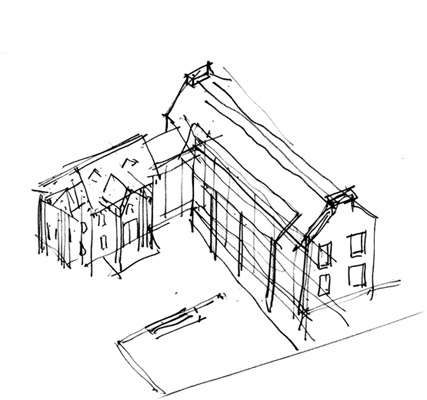 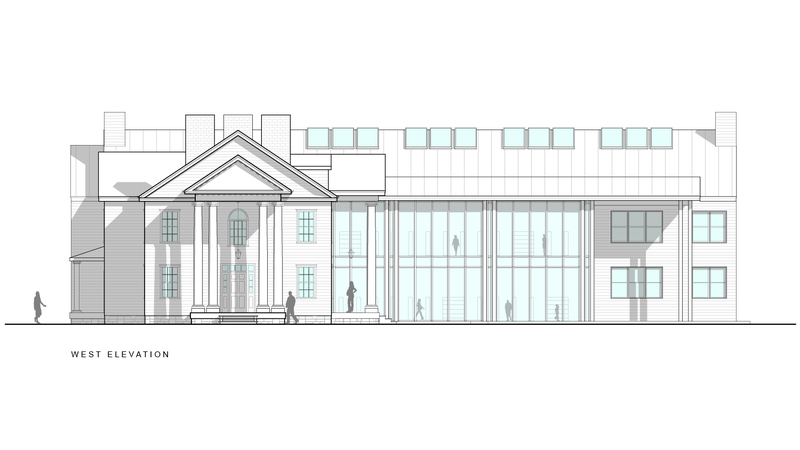 Having outgrown its historic home, a proposal was to consider a major addition more than doubling the size of the building. 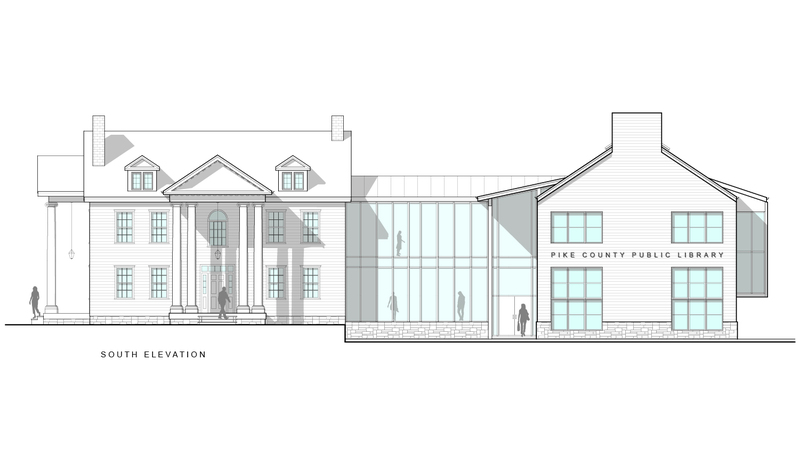 The library board wanted to understand the feasibility given the restrictions of the Milford Borough National Historic District and how might it look. 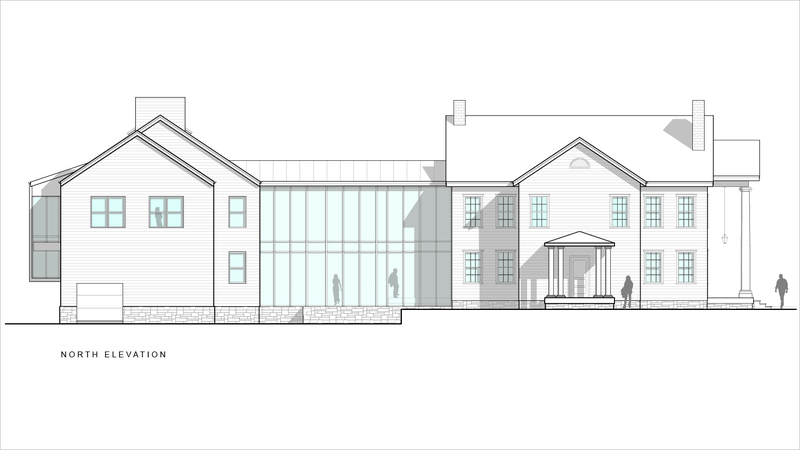 The two-story addition is a simple elongated form that connects to the Community House with a clearly separate element that is mostly glass. 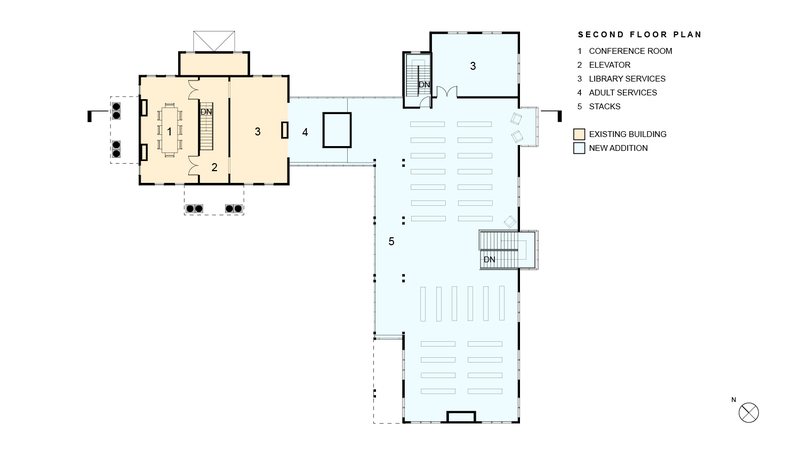 The architectural elements of the addition including the base, windows, and roof are literally drawn from the elegant proportions of the Community House. 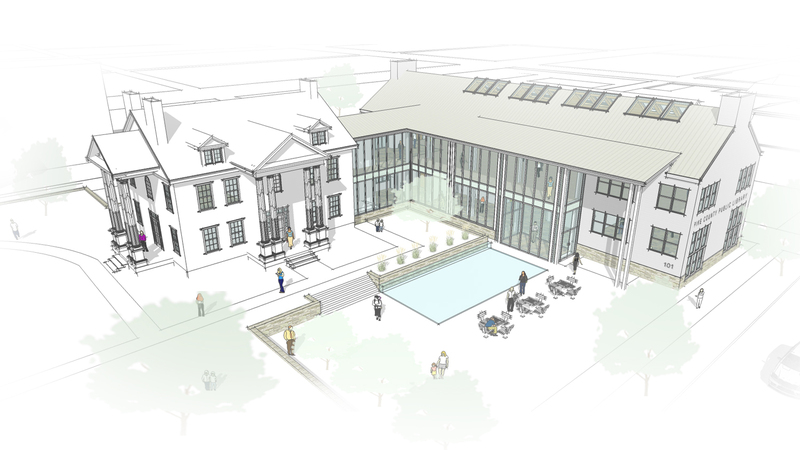 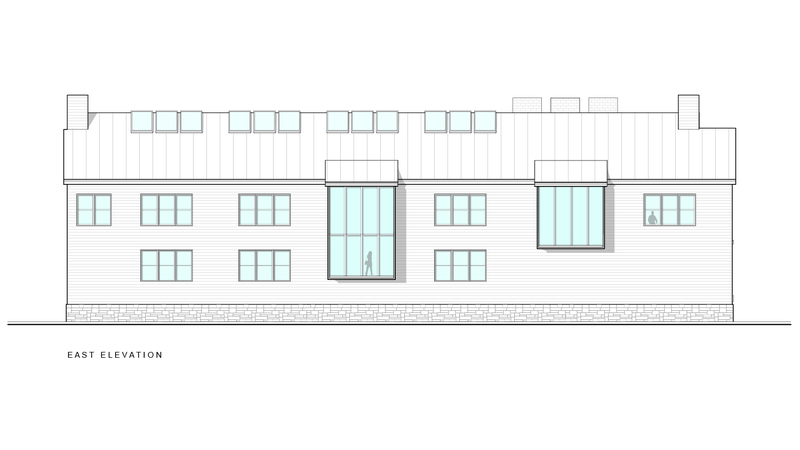 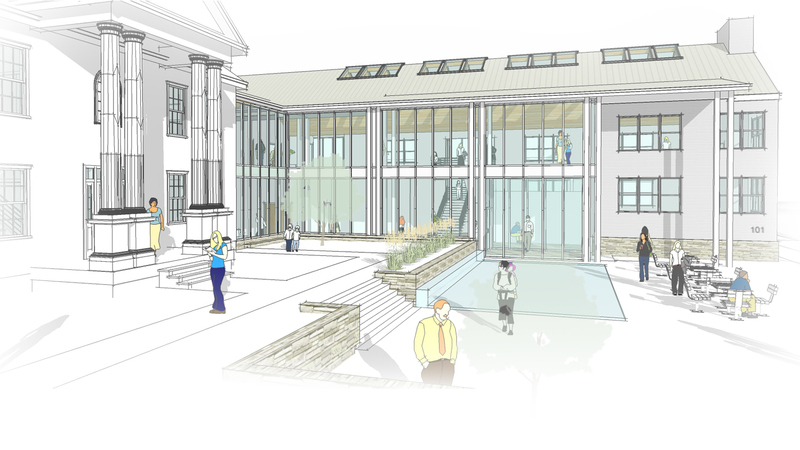 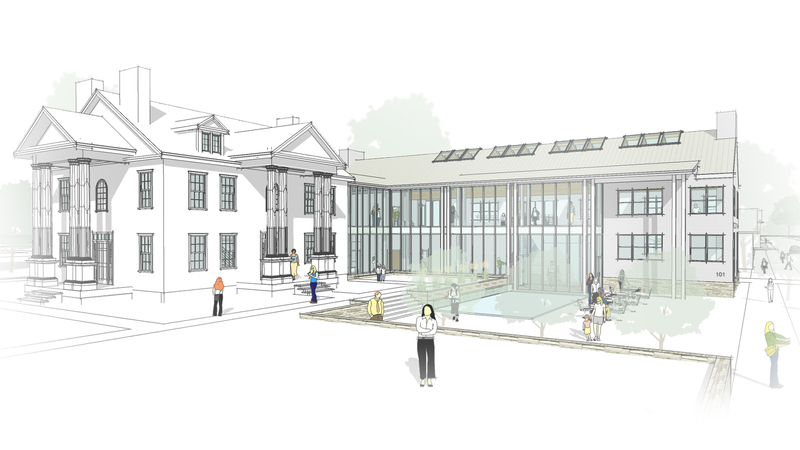 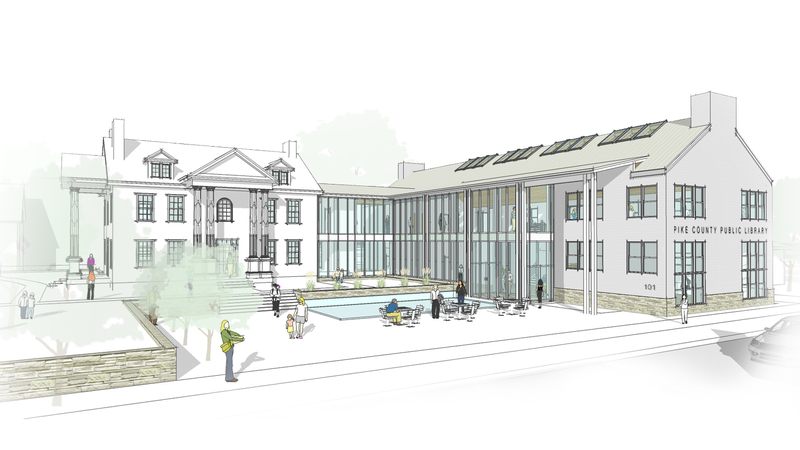 The glass facade of the new building reflects its historic surroundings and provides dramatic views of the community house and the surrounding historic fabric from the interior. 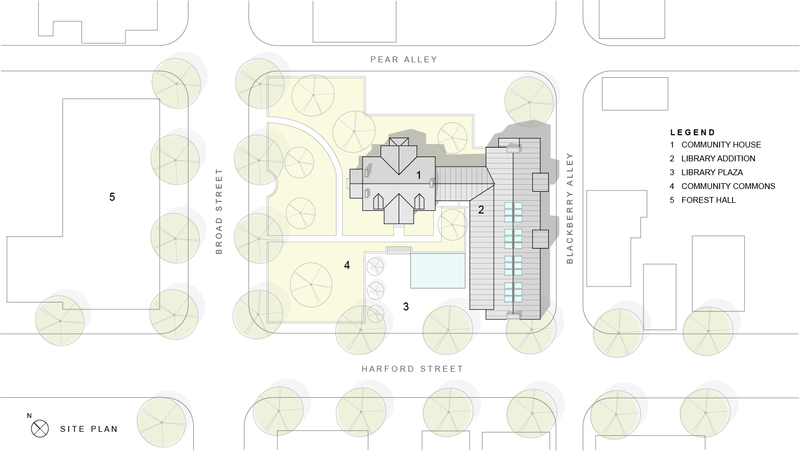 A shared courtyard and park with water features invite community activity.